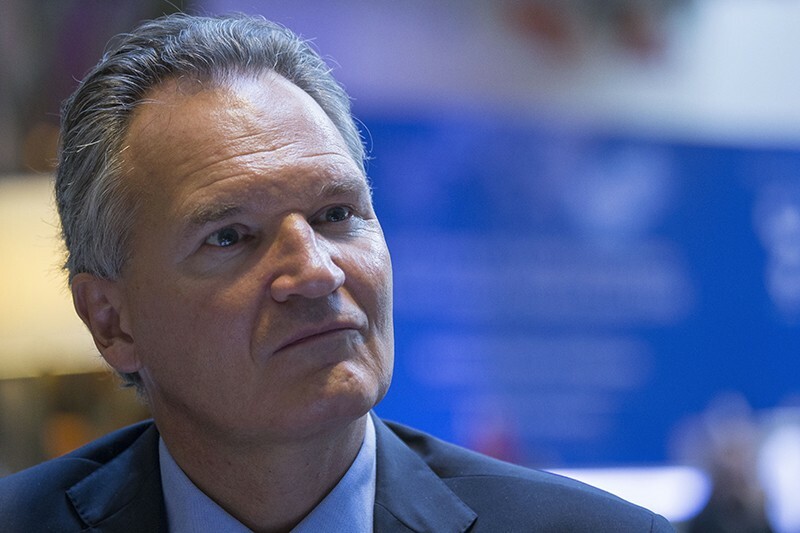 Robert-Jan Smits, the European Union’s departing director-general of research, sets out his parting thoughts. Robert-Jan Smits is about to stand down from one of the most important science-policy jobs in Europe. On 1 March, after eight years, he will hand over his role as director-general of the European Commission’s research directorate to Jean-Eric Paquet, currently a deputy-secretary-general at the commission. Smits has exerted great influence on science in the European Union. He is regarded as a key architect of the EU’s €80-billion (US$100-billion), seven-year Horizon 2020 research programme, a vast effort to promote science and innovation in the organization’s 28 members states. Smits has also shaped the scheme’s proposed successor, known as Framework Programme 9 (FP9), which will run from 2021 to 2027 and is likely to have a budget of more than €100 billion. He talks to Nature about what he has achieved and what is yet to come. Which of your achievements as director-general are you most happy about — and which do you think scientists are most happy about? Managing to put science and innovation high on the political agenda in Europe. This made it possible to increase financing significantly: the budget for Horizon 2020 is 60% higher than that for the €50 billion research programme that preceded it (FP7), and it looks like the FP9 budget could be double FP7’s. Scientists are happy about the creation of the European Research Council (ERC) within Horizon 2020. This is an agency for allocating individual grants — which can be a million euros or more — solely on the basis of excellence. It is something for which the scientific community in Europe had been calling for many years. But they are also happy that we have been able to radically reduce the bureaucracy that had bugged scientists in previous research programmes. During Horizon 2020, we’ve taken 54 separate measures to chip away at the cumulative burden on scientists: application and reporting procedures are much less cumbersome now. A few years ago, I dared to poll our Horizon 2020 participants to ask them if they could name other research agencies in Europe with simpler procedures — 80% said they could not. What are you most disappointed about? I am sorry that I couldn’t find a way to get all member states to invest more in science. Not all countries that committed to raising their research budgets put their money where their mouths are. This risks widening the science-and-innovation divide in Europe. I also regret not having been able to embed science and innovation in EU agricultural policy, which is very conservative and hard to penetrate. The farming sector is going to have to work in a more sustainable way and reduce its ecological footprint — and it needs to use science and innovation to do this. What is the next framework programme going to look like? To a large extent, it will be a continuation of Horizon 2020. One part will be about research excellence. This will include the ERC, the Marie Skłodowska Curie programme for postdocs and research infrastructures. Another will be directed at societal challenges — climate, health and the like — which support [the United Nations’] Sustainable Development Goals. These will be implemented through ‘missions’ — large-scale collaborative research projects with achievable goals, which have clear added value at the European level. We will be asking stakeholders and citizens to help us define what exactly the missions should be. Third, we plan a European Innovation Council to support highly innovative companies, particularly start-ups. The commission will probably submit its proposal to the European Parliament and the EU Council of Ministers by the beginning of June. We hope the three bodies will agree on a final version of FP9 before the European Parliament elections in May 2019, but that is an ambitious plan. Will FP9 include defence research? The commission has not funded defence research in the past, but there is now a political decision for this to happen — to boost collaboration between EU member states on novel military technology. But in my opinion, spending on defence research must be ring-fenced, with its own budget, rules and instruments for implementation. There needs to be a firewall between military and civilian research, not least because it would otherwise make it very difficult for countries associated with Horizon 2020, such as Israel, Turkey and Ukraine, to participate in FP9. Also, defence research is very expensive. I wouldn’t like to see it taking money away from programmes like the ERC. What plans are there to support research in poorer member states? I am proud of having been able to embed science and innovation within the structural funds [the EU’s subsidies to build up infrastructure in poorer regions]. These funds have traditionally been used for things like road- and railway-building. But for the period covering the Horizon 2020 programme, they have been used extensively to build up modern universities and research facilities in the east. An example is the Extreme Light Infrastructure, an ultra-modern laser facility with bases in Romania, Hungary and the Czech Republic. I have been proposing that, in FP9, such funds should be used instead to pay for the operational costs of these facilities — something that is so far not allowed. The spanking new facilities now need to be used by researchers from across Europe, but few of the host member states can afford to keep them running at the required level. It is equally important that many of the countries that receive significant structural funds reform their university and research systems. Recruitment at universities should be more open, more funding should be allocated through competitive calls, and top researchers should get better salaries and working conditions. You are known to have influenced the research-and-development culture widely throughout the commission. What were some of the significant steps? I managed to persuade Eurostat, the EU’s statistical office, to classify R&D as investment rather than expenditure. This was a small but important psychological breakthrough that helped change mindsets. I also promoted the concept of the ‘innovation principle’ to stand alongside the precautionary principle as an aid to risk assessment. This won political approval in 2016 and means that all future commission policies must balance the requirement for the EU to innovate against the need for it to protect citizens from possible dangers. I am transferring to the European Political Strategy Centre, the think tank of the European Commission’s president, Jean-Claude Juncker. But I am keeping my options open. I want to stay in the area of science and may one day take a sabbatical at an academic institute or research foundation.